A tip called into the Cheney Police Department led officers to Alissa Helmandollar and her mother, Brooke Helmandollar, police said. NAMPA, Idaho — Police say a missing and "possibly endangered" 10-year-old Nampa girl was found, along with her mother, in Cheney, Washington. 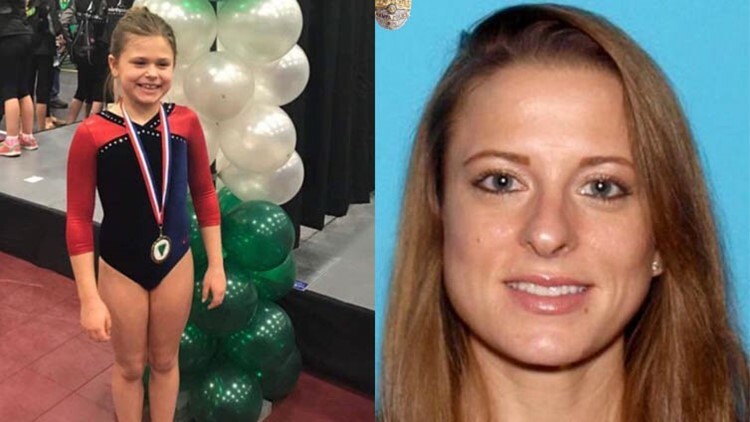 The announcement came after authorities issued an AMBER Alert Wednesday afternoon for Alissa Helmandollar. Nampa police said the girl and her mother, 41-year-old Brooke Helmandollar were last seen at a Nampa hotel Tuesday afternoon, and were believed to be headed to the Portland, Oregon, area. They were reportedly spotted in Hermiston, Oregon, earlier Wednesday. "Due to the threats that there were toward the child's safety it was determined we needed to locate the child to make sure she was safe," Nampa police spokesman Sgt. Tim Riha said. After the alert was issued, a tip called into the Cheney Police Department led officers to them, police said, adding that the girl was found safe. Alissa was believed to be in danger because of Brooke’s recent threatening behavior toward Alissa, police said. The Idaho Department of Health and Welfare reached out to the Nampa Police Department about their concerns. The investigation continues. No charges have been filed against Brooke Helmandollar, but her daughter has been placed in the care of the Washington State Department of Social and Health Services.